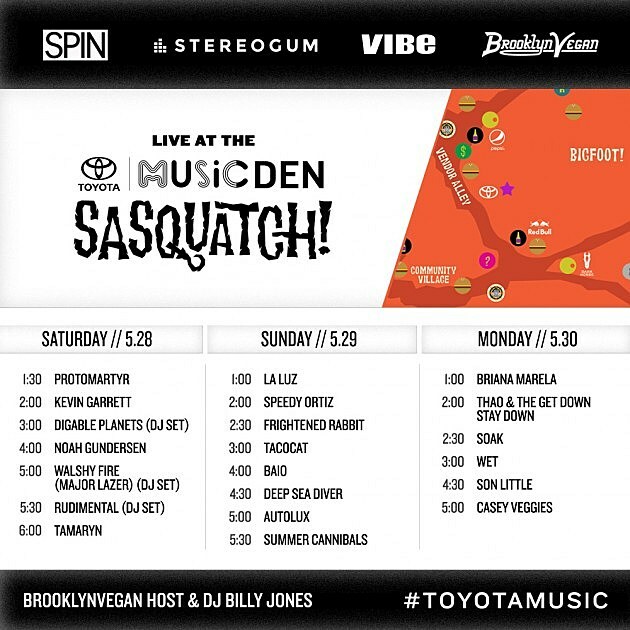 The Sasquatch music festival returns to The Gorge in Quincy, WA this weekend, and like we’ve done before, BrooklynVegan is hosting some of the artists in the Toyota Music Den along with our friends at SPIN, VIBE and Stereogum. 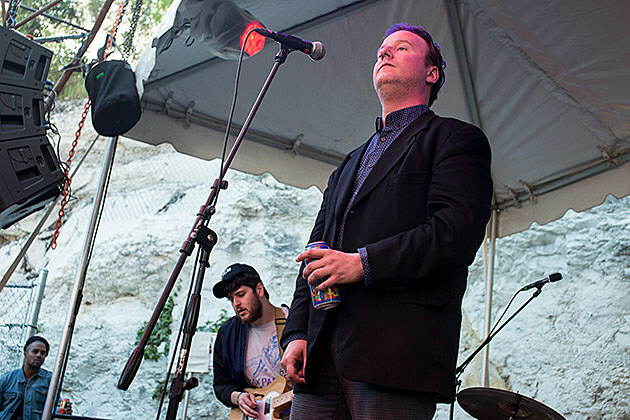 Along with our on-stage host & DJ Billy Jones, we’ll have performances and DJ sets from Protomartyr, Digable Planets (DJ), Tamaryn, La Luz, Speedy Ortiz, Frightened Rabbit, Tacocat, Autolux, Thao & the Get Down Stay Down, Casey Veggies and more. These are up close and personal performances in addition to the performances the same artists are playing on other stages. You can find us in the Toyota Music Den, located near the Big Foot Stage (here’s the festival map). Check out the full schedule below.